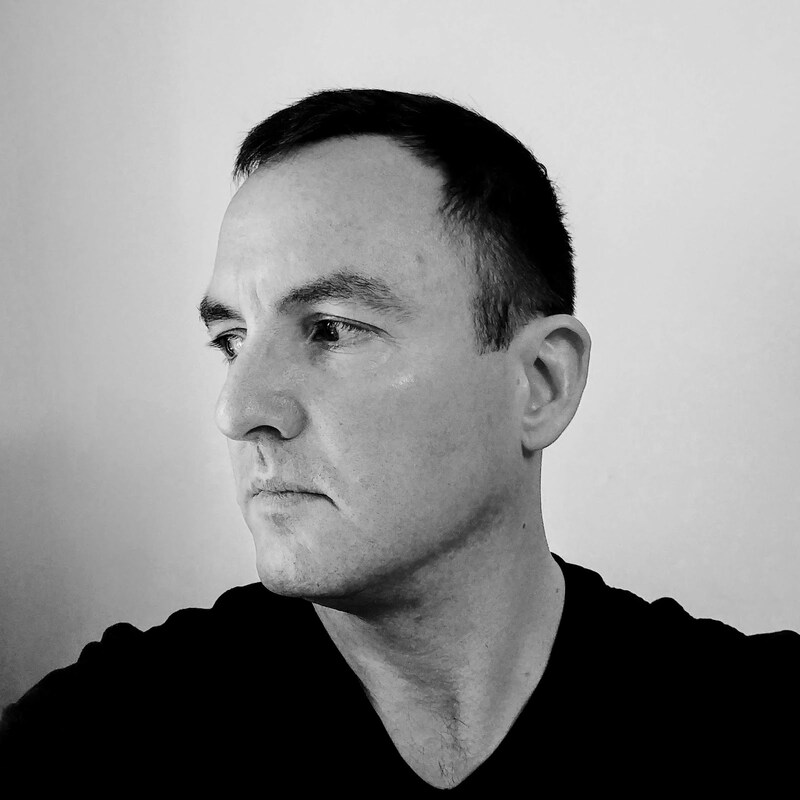 While browsing through Tim Smith's Jack Mountain Bushcraft Network, I came across a thread started by Samuel Chapman. He picked up a copy of Indian Fishing: Early Methods on the Northwest Coast, by Hilary Stewart for a good price and was asking if anyone else had read it. Tim Smith highly recommends it. 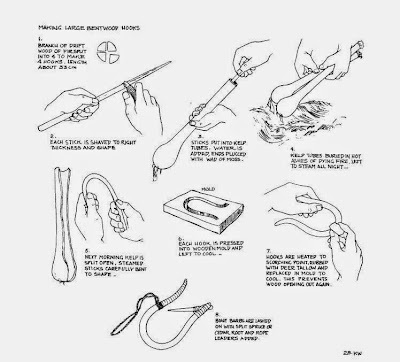 Now, I'm not really an avid angler, but I am more interested in the bushcraft that is illustrated in this book. 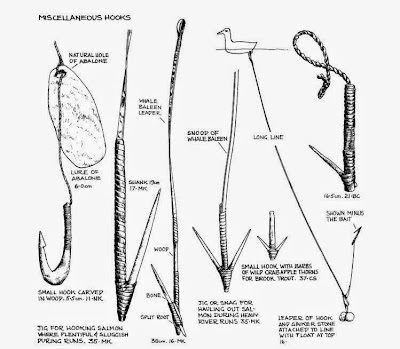 Look at the following images and see how lures and hooks were made without using iron or steel. The intracacy of the lures and hooks and the craftsmanship in creating cedar bark fishing line is astonishing to me. "Of the many resources available to the First Nations of the Northwest Coast, the most vital was fish. The people devised ingenious ways of catching the different species of fish, creating a technology vastly different from that of today''s industrial world. 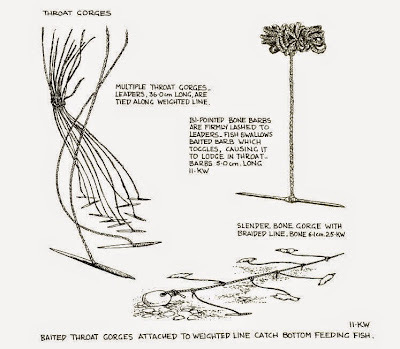 With attention to clarity and detail, Hilary Stewart illustrates their hooks, lines, sinkers, lures, floats, clubs, spears, harpoons, nets, traps, rakes and gaffs, showing how these were made and used--in over 450 drawings and 75 photographs." 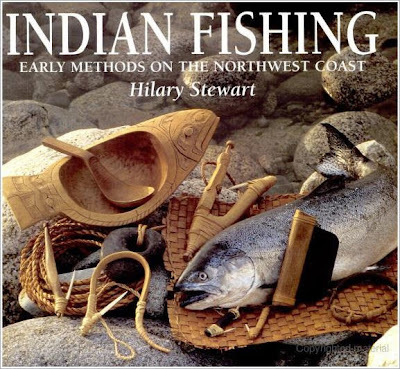 Check out this preview of Indian Fishing: Early Methods on the Northwest Coast on Google Book Search.